The conservative proposal to turn Medicaid into a block-grant program would not only be detrimental to the health of millions of Americans but also cost three million jobs—jeopardizing our economic recovery. Medicaid is the federal-state program that provides health insurance to some 53 million Americans, overwhelmingly lower-income and including many elderly and disabled people. The federal government currently matches state spending on Medicaid based on an established formula that varies by state. The Great Recession increased enrollment in Medicaid over the past couple of years, putting pressure on state governments facing billions of dollars in budget deficits collectively. The federal government temporarily increased its share of Medicaid funding with the passage of the American Recovery and Reinvestment Act of 2009, and the Affordable Care Act. The extra cushion expires June 30. Focused on cutting federal spending without regard to health or economic consequences, some conservatives propose further limits on federal Medicaid spending. 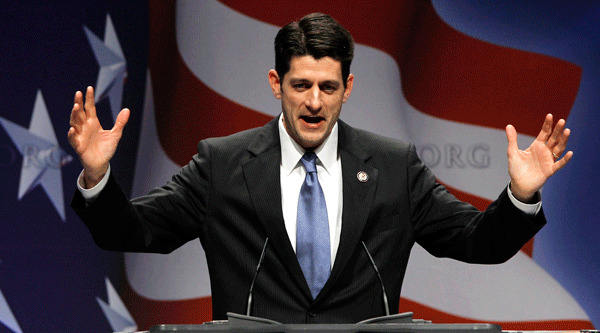 One proposal garnering attention from conservative governors and advocated by House Budget Committee chairman Paul Ryan (R-WI) would end Medicaid as we know it by converting it into a block-grant program. A block grant would leave states increasingly on their own to deal with health care needs and health care costs they can’t control. The result would be a Medicaid program that covers fewer people in need and provides them with less health care. What’s more, Medicaid spending per beneficiary is already significantly below spending per person for the privately insured. Americans on all sides of the political spectrum agree that we need to deal with our long-term deficits, but slash-and-burn budgeting in service of an ideological agenda should not be confused with fiscal responsibility. 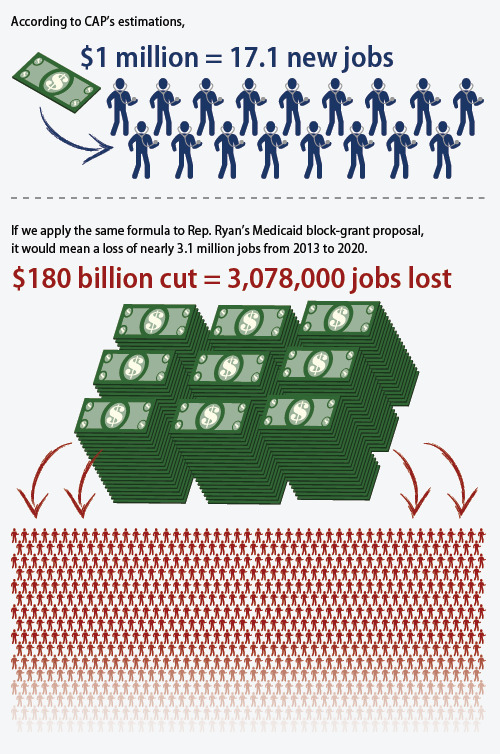 Converting Medicaid into a block grant would abandon the most vulnerable and jeopardize our economic growth. It’s simply the wrong way to go. Tony Carrk is a Policy Analyst at American Progress.